Country singer Walker Hayes honors the death of his daughter with a new tattoo. In loving memory of his daughter, Walker Hayes decided to get a tattoo of a tiny foot print inked onto his forearm. More here on the singer’s newest tattoo to honor his baby girl. “It is with great sadness that Laney and I share with you the news that our sweet Oakleigh Klover Hayes was born this morning at the hospital and now is safely in heaven. Thank you for honoring our privacy as we grieve,” the singer expressed to fans. The Alabama native, wife Laney and their 6 kids were expecting their little one to arrive on June 8 via home birth. Oakleigh left the world on June 6 and it has not yet been revealed how she passed. 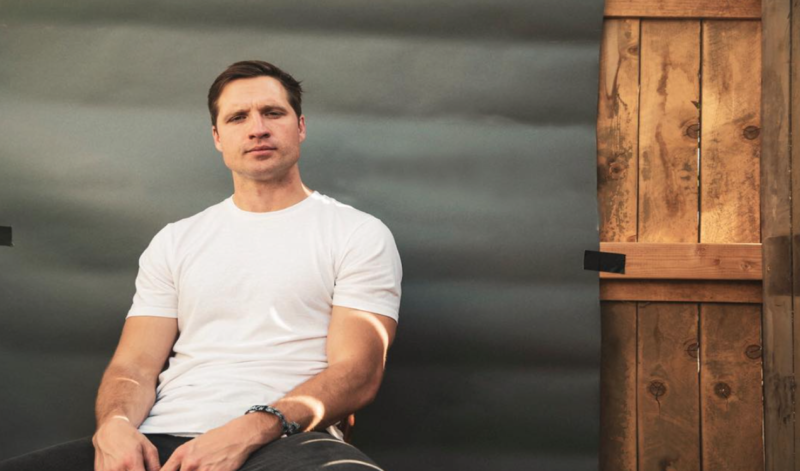 Though there’s nothing that can weaken the devastation that comes with losing a child, Walker Hayes’ found a little sense of healing with a foot-printed tattoo inked in the middle of the baby’s first and middle names. He shared the sweet picture via Instagram thanking his tattoo artist, “It is perfect,” Hayes captioned. Fans have been nothing less than supportive as they have commented their love on Hayes’ posts both on Twitter and Instagram. The grieving father took a break from performing to mourn and spend time with his family. He was scheduled to perform at the 2018 CMT Awards as well as the 2018 CMA Festival. Walker returned to the stage on June 27 in Evansville, Indiana for Summerfest. Remember to “share” this update of Walker Hayes’ new tattoo in honor of his late baby girl.